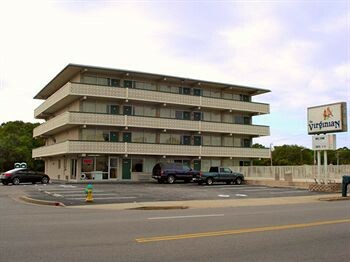 Property Location With a stay at The Virginian Motel in Myrtle Beach, you&apos;ll be near the beach and minutes from Midway Park, and close to Family Kingdom Amusement Park. This hotel is within close proximity of Art Museum of Myrtle Beach and Mount Atlanticus Miniature Golf.Rooms Make yourself at home in one of the 31 air-conditioned guestrooms. Cable television is provided for your entertainment.